Now you may find this hard to believe, but I’m actually a bit rubbish when it comes to make up. I’ve never been very sure on what I do and don’t need and I’ve never liked the feeling of wearing lots (This contouring business really does leave me amazed) It was usually a head to boots and grab the usual Collection2000 concealer or Rimmel lip liner. Sometimes venturing into the intimidating maze of make-up counters bursting high end branding and glossy packaging, more often than not I’d end up buying some ill advised and unnecessary product, only leaving me disappointed vowing never to waste my money like that again. Then Zoe Newlove happened and my life would never be the same. Zoe is my friend (and also a extremely talented blogger and make-up artist) who I met way back when I spent my Summers on the hedonistic island of Ibiza, and we have been friends ever since. I had managed to keep the contents of my make up bag quiet until a chance conversation last Thursday. 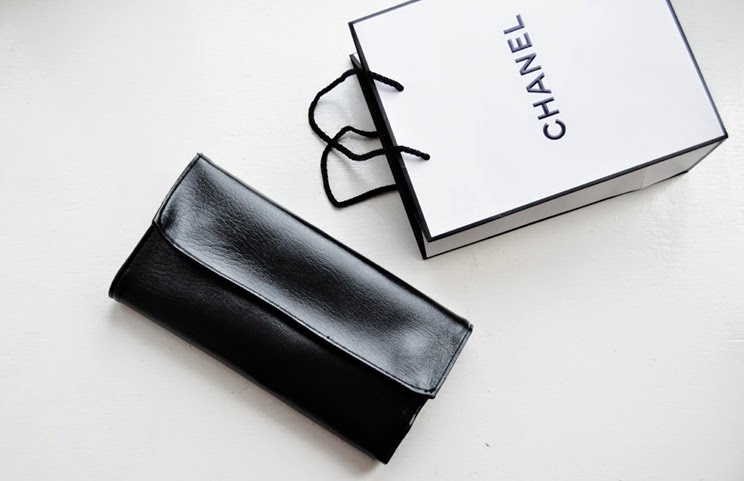 She was as predicted, horrified “You are the only person I know to have a Louis Vuitton make-up bag full of drug store staples.”, I was mortified but only because I how ridiculous that sounds. So off I went with a list of things I apparently need, being a girl. 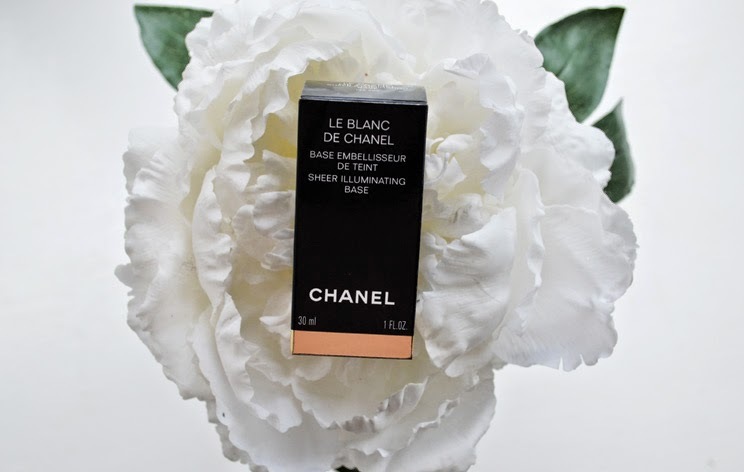 The first was the “Le Blanc De Chanel” Illuminating base/primer, now is the part where I tell you I have never owned a primer or used one for that matter and you all scream in horror. Upon using this product it became apparent why that is the reaction I received when I let that one slip. It is extremely light and instantly adds radience but without the “shimmer” effect. Think dewy catwalk skin on a much shorter, stumpier not so model-esque model. 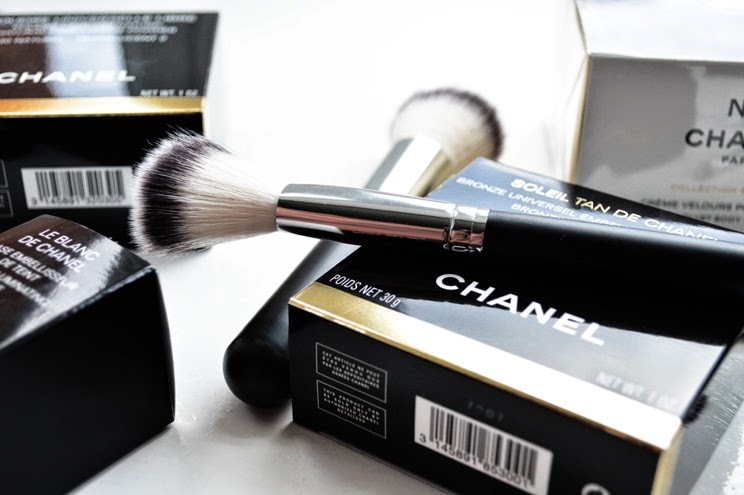 Zoe also informed me of the “Soleil Tan De Chanel” bronzer. One colour? For everyone? Usually that means it looks all kinds of beautiful on one skin tone and the rest of us walk around thinking we look like them but in actual fact we look like we’ve had a fight with a packet of Wotsits. How wrong I was! Brushed gently across my skin with one of my many new Crown Brush additions, it gave me that Summer Sunkist hue only achieved on holiday right before you board the plane ready for it all to peel off during the flight home. As a user of Bare Minerals foundation I like to maintain that light, almost barefaced feel throughout the day which really is one of the main winning qualities of this bronzer. 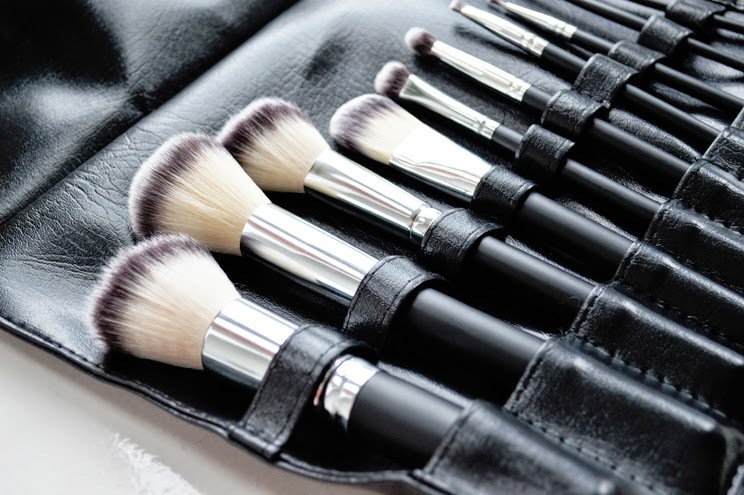 A must have for even the most lackluster make up bags. “Poudre Universelle Libre” in 30 Naturel Translucent.This was an unplanned purchase which I think again I was sucked in by the pretty packaging however this time I went home and wasn’t disappointed in the slighted. I am on a quest of dewy skin however there are some area’s which just don’t rock that glow so well so I use this powder in the creases by my nose and my T zone to fight the the appearance of oily skin. A little goes such a long way so I don’t expect to have to repurchase this century. Cost per wear is looking promising. “No.5 Velvet Body Cream“. £55 body moisturiser was not on the list that Zoe sent me, so I can’t even pin this one on her. This was nothing short of pure indulgence and I’m not even sorry about it! I lead an extremely stressful life which I am still learning how to cope with (I’m justifying myself which is more for me than you guys) one of the main things I have decided is to sacrifice one gym session a week to instead make full use of the spa facilities at my gym. There’s nothing quite like a Friday evening spent on a hot bed next to the sound of the roaring Jacuzzi. This moisturiser is my special Friday post spa moisturiser. I use it only on Friday’s (or special occasions) because it really does live up to its name. “Hydra Beauty Nourishing Lip Care”. I can’t even justify this one. I just wanted lip balm in a fancy pot. This whole haul experience (I believe this is my first) has actually been quite enlightening and has instilled a new love of make up which excites me yet drastically effects my bank balance. Gone is the attitude that everything “does the same thing” regardless of price tag. 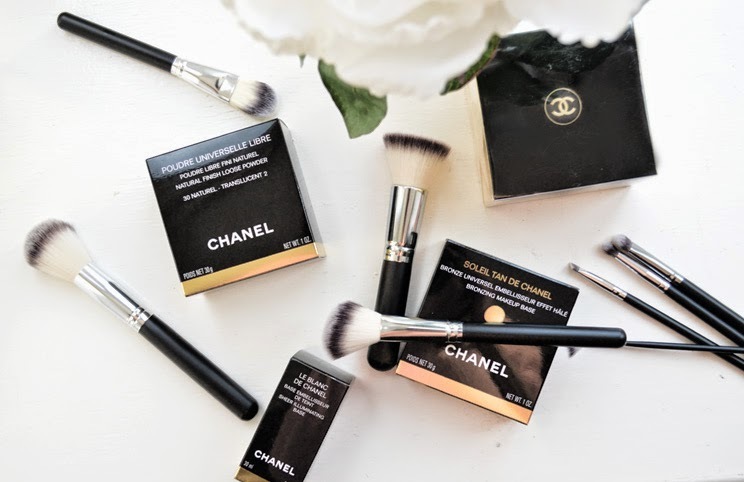 My Rimmel bronzer really is no match for Chanel.